Rotary Knaresborough - welcome! Please scroll/swipe down through this page to find out more about us, in addition to the pages linked in the menu, top-left. Pupils at Aspin Park Academy dressed up as Rock Stars on a non-uniform day to raise money for Children in Need and Rotary’s End Polio campaign. 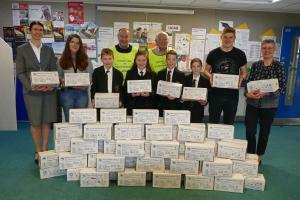 Staff and pupils at local schools and Scout groups have been busy filling shoeboxes as part of Knaresborough Rotary’s annual collection for orphanages and children’s homes in Eastern Europe. Knaresborough Rotarians, along with 1st Scriven Cubs and Scouts, spent time at Knaresborough Castle cleaning the benches in preparation for the start of the tourist season. the home front who supported them. by the ringing of half-muffled church bells, 248 changes, one for each Knaresborough man. Andrew Jones MP, the Mayor of Harrogate BC, the Mayor of Knaresborough Council, The Royal British Legion, and The Army Foundation College will be attending. The planting site is above Horseshoe Field and about 250 yards up the public footpath from the timber Conyngham bridge. 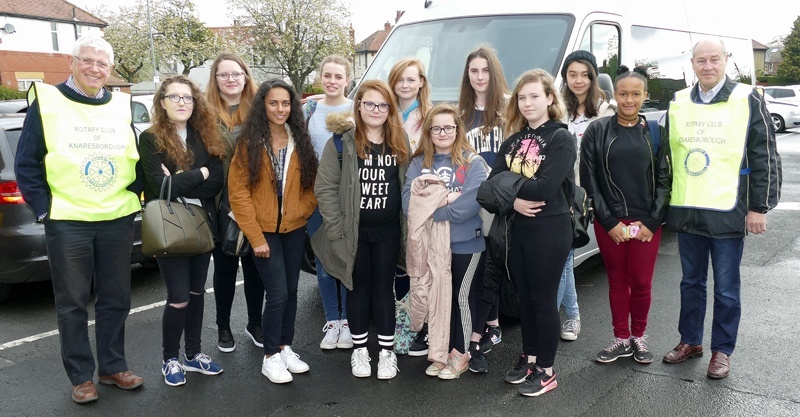 Thanks to a donation from Knaresborough Rotary Club, twelve local teenage young carers were recently able to enjoy a respite day in Blackpool, whilst the person they cared for was taken care of at home. Hettie Flynn from Carer’s Resource Young Carer’s service said, “A memorable day was had by all. 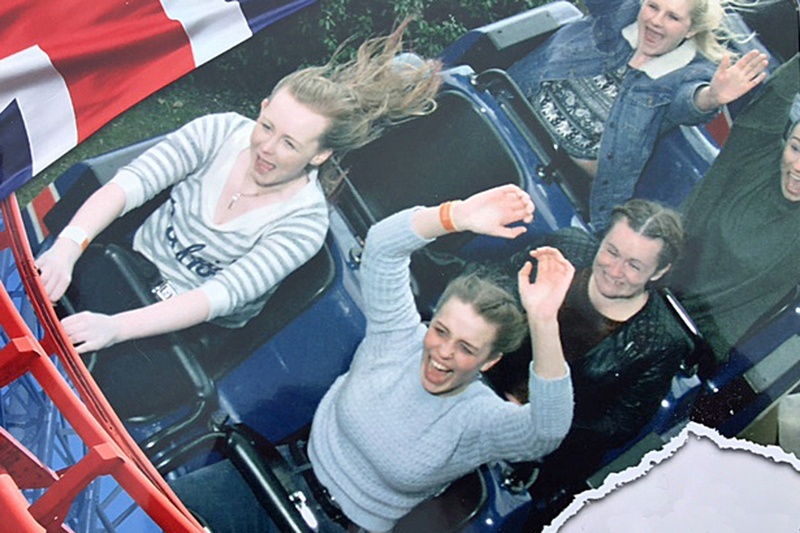 Their favourite parts of day were; going on the water ride, which got them soaking wet, and then drying off in the human size dryers, seeing the view for miles at the top of the big dipper and laughing at the photographs after each ride”. Young Carer Laura, who cares for her brother who has psychical disabilities said, “I really enjoyed the day out to Blackpool. I’m a bit stressed out at the moment as I’ve got exams coming up and my brother isn’t very well, but this trip has been just want I needed to relax and have fun with other young carers”. Hettie Flynn said, “lots of memories and friendships were made which will last a very long time, and it is all down to Rotary’s very generous donation”. · Carers’ Resource Young Carers service was set up in 1995 and supports about 250 young carers in the Harrogate district, which includes Knaresborough, Ripon, Boroughbridge and Pateley Bridge. · The service is entirely reliant on donations to provide emotional support, youth clubs and respite opportunities for these youngsters. · The average age of a young carer is 12 – young carers supported are as young as seven. · In every class it is estimated there are two young carers. Almost half didn’t let their teachers know they are a young carer. · Two-thirds of young carers report they are bullied in school. Knaresborough Rotary Club’s nine giant hand-made Easter Eggs have raised £1,035.70 for eight different charities. Each egg was raffled in a different location around Knaresborough. The charities which benefitted are Mercy Ships, Mary’s Meals, Physionet, End Polio, Project Dukem, Doctors without frontiers, Kids Out and All We Can’s East Africa Famine Appeal. The Cross Keysand the Corniche Club at the Dower House both raised funds for Mercy Ships. £150 at the Cross Keys and £100 at the Corniche Club. The Guy Fawkes at Scotton raised £41.30 for Mary’s Meals. The Marquis of Granby raised £110 for Physionet and the Wellington £61 for Rotary’s End Polio campaign.The Travellers Restraised £104 for Project Dukem where George Leith won the egg. At Blind Jacks £150 was raised for Doctors Without Frontiers and the egg winner was Diane Connolly. At Morrisons Flaxby depot £150 was raised for Rotary’s Kids Out day on 14th June. 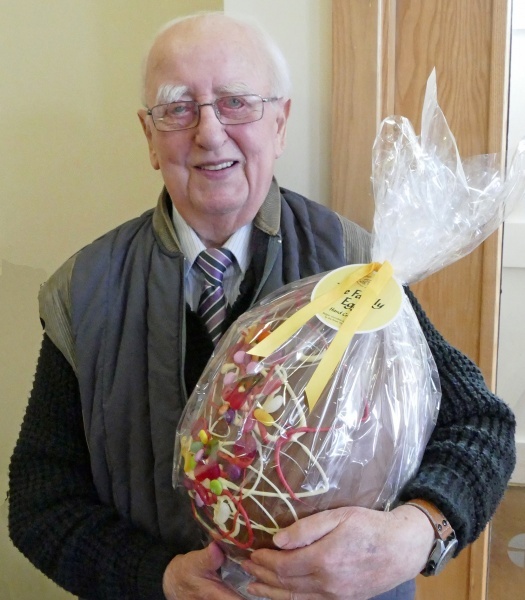 Egg winner John Knowles was not available so his egg was collected by his son Ian. At Gracious Street Methodist Church £169.40 was raised for All We Can’s East Africa Famine Appeal. The winner was Ron Allen who chose number 91 as it was his 91st birthday. He subsequently donated the egg to the junior church members. 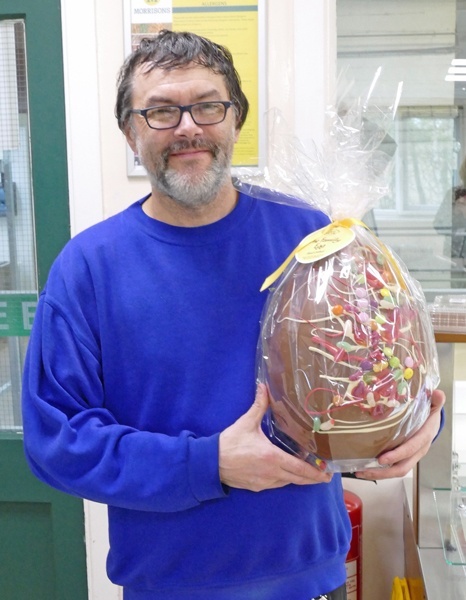 Rotarian David Druett, who organised the Easter Egg project, said “We are very grateful to all those who have helped to raise money for these important charities and hope that the winners enjoyed their eggs!”. Knaresborough Rotary Club’s collection in Knaresborough market place last Wednesday, 29th March, raised a total of £578.12 for All We Can, the Methodist Relief and Development Fund’s East Africa Famine Appeal.All We Can is working with its international humanitarian aid partners to respond to the immediate urgent needs in South Sudan and Somalia and to the growing crises in Yemen, Burundi and Ethiopia. 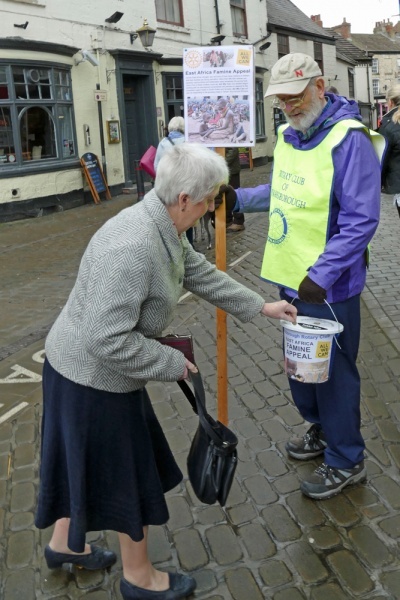 Spokesman for Knaresborough Rotary Club, Brian Souter, said“Once again the people of Knaresborough have shown their care and concern for people who are suffering from famine. Across large areas of Eastern Africa, drought, war and lack of food mean millions of children and their families are facing starvation. More than 880,000 children are severely malnourished and desperately need immediate life-saving food. One in five of these children could die. This situation is incredibly serious, it is not one we can ignore. Malnutrition is widespread, in some countries water is scarce and the need for lifesaving aid; food, water and sanitation, is critical. We are grateful to all those who donated to this worthwhile cause. Anyone who still wishes to donate can take money to Gracious Street Methodist Church”. 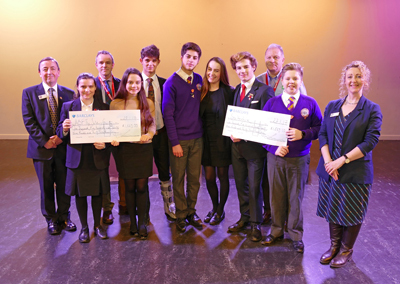 Pupils at Queen Ethelburga's Collegiate have presented cheques for £1,529.33 to both ABF, The Soldiers' Charity and to Shelterbox, the Rotary Disaster Aid charity. On 3rd December 2016, in partnership with Knaresborough Rotary Club, a black-tie dinner and gala school performance of Phantom of the Opera raised a total of £3,058.66. Some 200 guests enjoyed dinner, served by a team of pupils, before watching a stunning production of Phantom of the Opera in the school's theatre. A raffle, including prizes donated by Rudding Park Hotel, Ripon Race Course and Marks and Spencer, raised nearly £800. Louise Woodward, Director of Creative Arts at Queen Ethelburga's and producer of the production, said that she was thrilled and delighted with the success of the venture and with the amount raised. It has been a great pleasure to work with Knaresborough Rotary Club to raise money for these worthwhile charities. The whole student production team are thrilled with the outcome and we hope to be involved with similar events in the future. On hand to receive the cheques were Barney Barnbrook, Regional Director North East of ABF, The Soldiers' Charity and Stephen Woodcock Rotary District 1040 Shelterbox Co-ordinator. Steven Jandrell, Principal Queen Ethelburga's Collegiate, said "We are incredibly proud of the students who undertook such a performance: the talent that some of these children have is amazing". £1,529.33 to Barney Barnbrook, Regional Director North East of The Soldiers' Charity and to Stephen Woodcock Rotary District 1040 Shelterbox Co-ordinator. Also in the photograph are Queen Ethelburga's Principal Steven Jandrell (left) and Phantom Producer and Director of Creative Arts Louise Woodward (right). 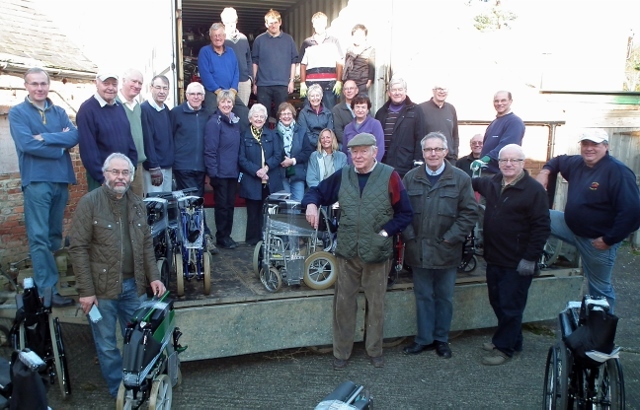 For the third year running Knaresborough Rotary Cluborganised a collection of newtoys to go to families where children were unlikely to receive presents for Christmas. The Salvation Army and Social Services acted as a confidential 'go-between' to ensure donated presents reached needy families in the area. 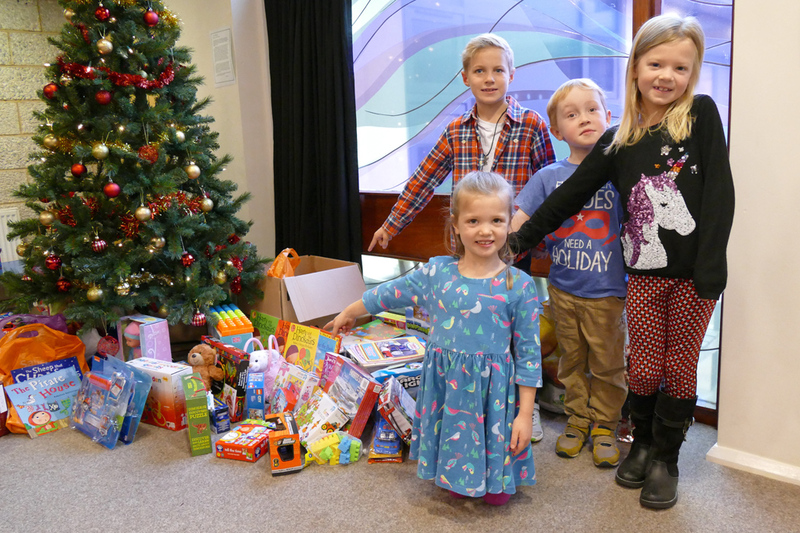 Toys were collected at Gracious Street Methodist Church and at five Twinkles Nursery Schools in Knaresborough, Boston Spa, Wetherby, Leeds Centre and Leeds White Rose. Kirstie Stericker at Twinkles saidâ€ We are very happy once again to help with the Rotary initiativeâ€. Organising Rotarian Mike Dixon said, â€œThe response was wonderful and we are most grateful to all who donated in the true spirit of Christmasâ€. 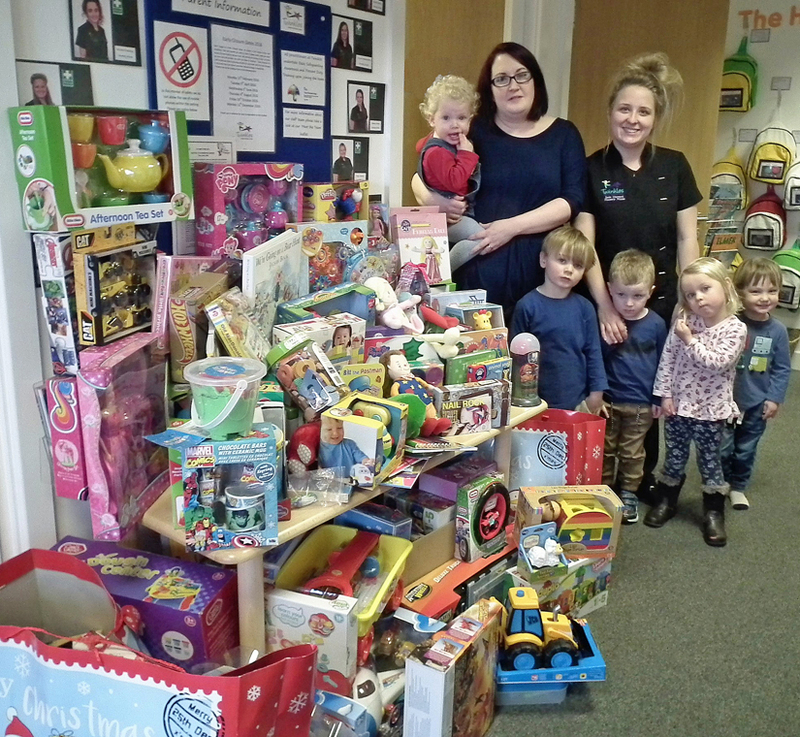 Photographs Sian Cox and Jade Garrard with children at Twinkles Nursery in Knaresborough together with the Toys donated to Rotaryâ€™s Toys for Needy Children project. 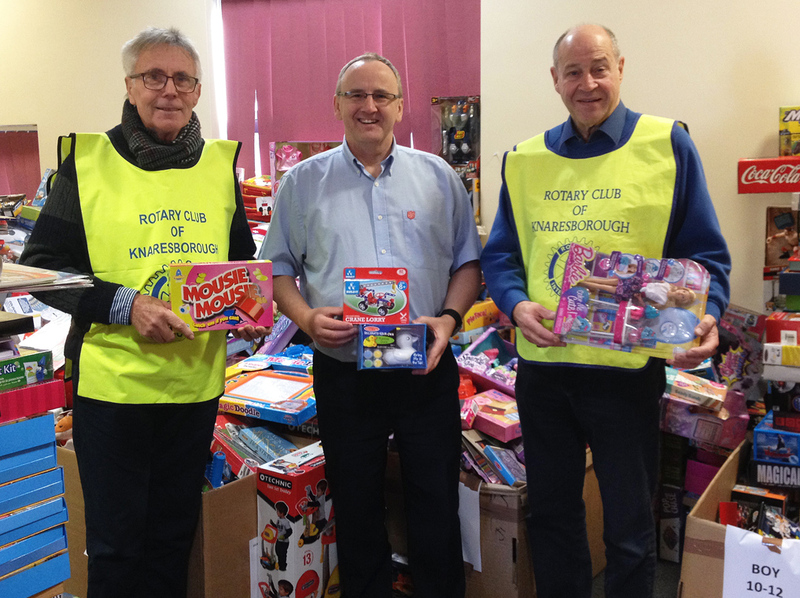 Children at Gracious Street Methodist Church, Knaresborough with Toys donated to Rotaryâ€™s Toys for Needy Children project.Knaresborough Rotarians David Robertson (left) and Mike Dixon (right), deliver toys to Salvation Army Officer Andrew Dunkinson. The Rotary Club of Knaresborough is looking for a young person to benefit from a one week residential leadership course to be held during the summer of 2017. The Rotary youth leadership award course (RYLA) is designed to allow young people to experience at first hand the challenge of leadership. This course is open to young men and women who are over 16 at the start and under 18 on the day the course concludes. The course contains a mixture of: physical and mental challenges that allow participants to experienceleadership, team building, communication and problem solving skills. Rotary has been running these courses for over 20 years and has helped over 1,000 young adults to develop their personal skills as a leader. Rotary is proud of the system of helping to develop the leaders of tomorrow and looks forward to meeting and working with many more in the future. The course takes place at Hebden Hay, a Scout hostel situated in the Hardcastle Crags valley above Hebden Bridge. The course dates for 2017 are Saturday 22nd July to Friday 28th July or Sunday 30thJuly to Friday 4th August 2017. 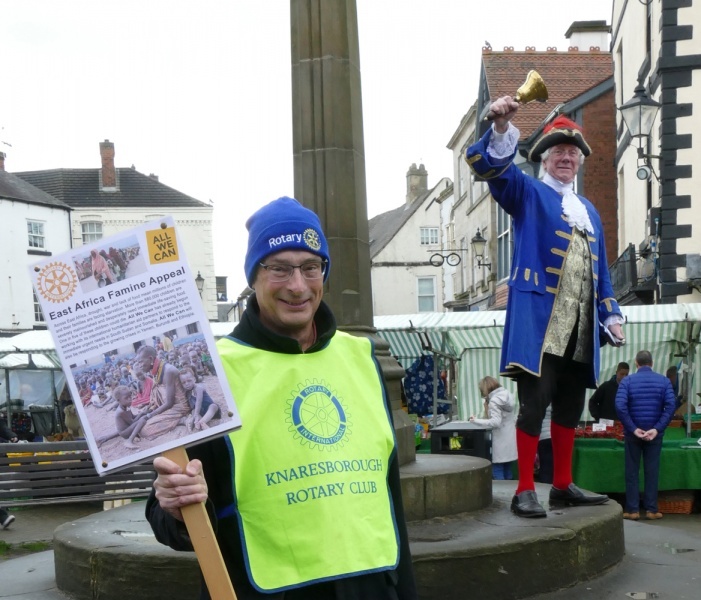 Full sponsorship is available through the Knaresborough Rotary Club.The course staff are made up of a team of professional instructors, who supervise the activities and offer feedback to the awardees on their performance, and Rotarians from around the Yorkshire area. Those wishing to apply should submit a letter of application including their name, date of birth, full address, telephone number and e mail address to Rotarian Brian Souter briansouter@hotmail.comas soon as possible. The closing date for applications is 1st February 2017. 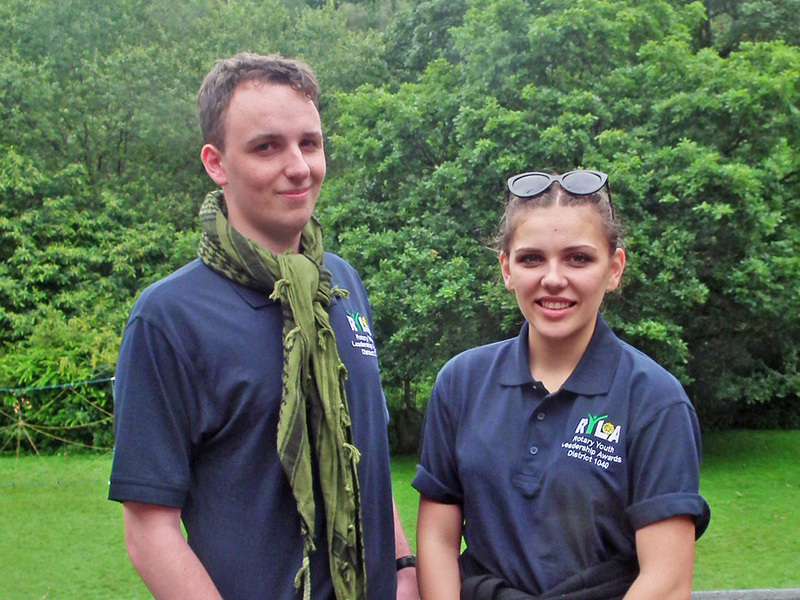 Photo shows:- Tom Bartlett and Victoria Franklin who were both sponsored by Knaresborough Rotary Club on the 2016 RYLA course. 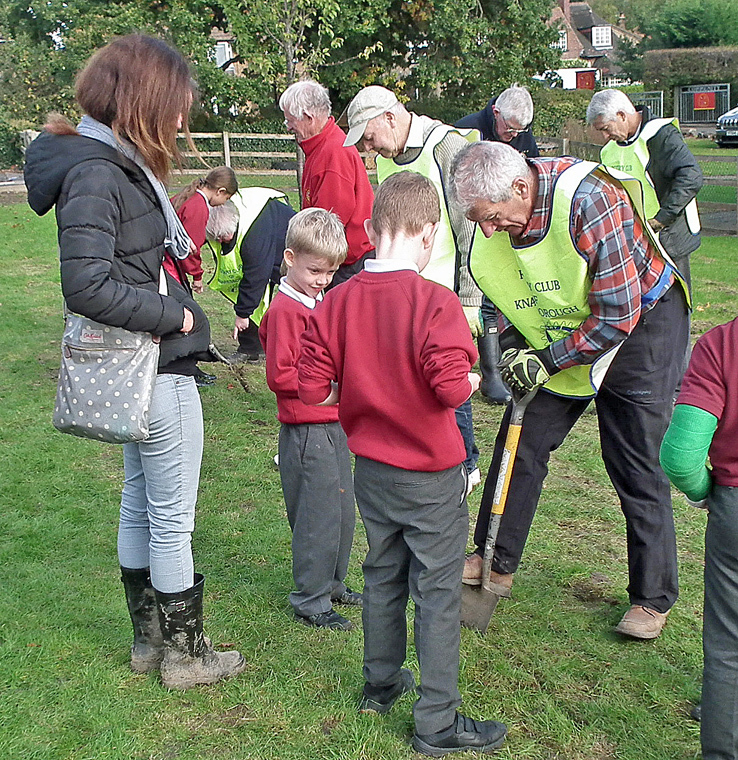 Knaresborough Rotarians have been out planting crocuses as part of their work in eradicating Polio. How does that work you ask? Well the purple crocuses are a reminder of the purple dye used to mark the left little finger, the â€˜purple pinkieâ€™, of children given the Polio vaccine by immunisation teams in countries such as Nigeria, Afghanistan and Pakistan where Polio is still endemic. Since Rotary and its partners launched the Global Polio Eradication Initiative 31 years ago, in 1985, the incidence of polio has plummeted worldwide by more than 99.9 percent, from about 350,000 cases a year to just 27 so far this year as of 19th October. Some senior citizens will probably remember the â€˜iron lungsâ€™ used to help those suffering from Polio before 1952 when the first vaccine was developed by Jonas Salk and Albert Sabin. Today the End Polio campaign is backed by the Bill and Melinda Gates Foundation so that every pound raised by Rotary is matched by two pounds from the Foundation. Â£1 donated will provide vaccines for 5 children. 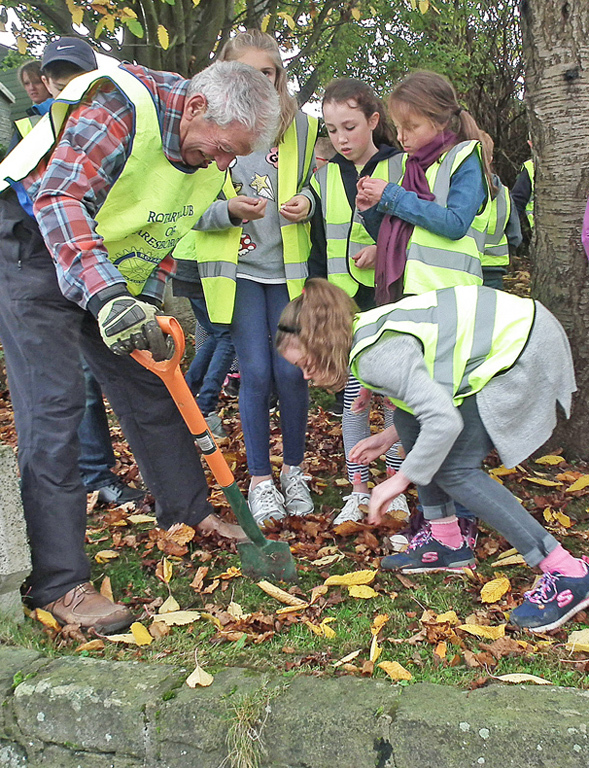 Marking World Polio day on 24th October, Knaresborough Rotarians were assisted by pupils at Hookstone Chase School and Scotton-Lingerfield School to plant over 2,000 purple crocuses whilst another 2,000 are being planted at Martin House Childrenâ€™s Hospice. Knaresborough Rotary Club recently held a collection in aid of Haiti and the Bahamas following hurricane Matthew and raised Â£316.The money will go to Disaster Aid UK (DART) a Rotary initiated charity which already has teams in Haiti and provides family survival kits, tents and water purification equipment. DART also works with Rotary Clubs in the affected area to provide locally sourced building materials to rebuild damaged homes. Knaresborough Rotary Clubâ€™s new President is Jim Moorhouse. At a handover ceremony at Nidd Hall Jim Moorhouse thanked outgoing President Richard Booth for all the hard work he had put in over the past year and hoped that the year ahead would be equally as successful. Born in Sheffield, Jim Moorhouse grew up in a mining village near Barnsley and attended Ecclesfield Grammar School before undertaking an engineering apprenticeship with a Sheffield based company. In 1968 Jim joined the Hepworth Ceramic Group as a sales engineer progressing through management, directorships, marketing, commercial, and managing directorships with three market-leading companies in the building material supply industry. In recognition of his work with the Builders Merchants Federation Jim was invited to join their Livery Company and become a Freeman of the City of London in 2012. He latterly worked as a sales consultant before retiring in 2013. 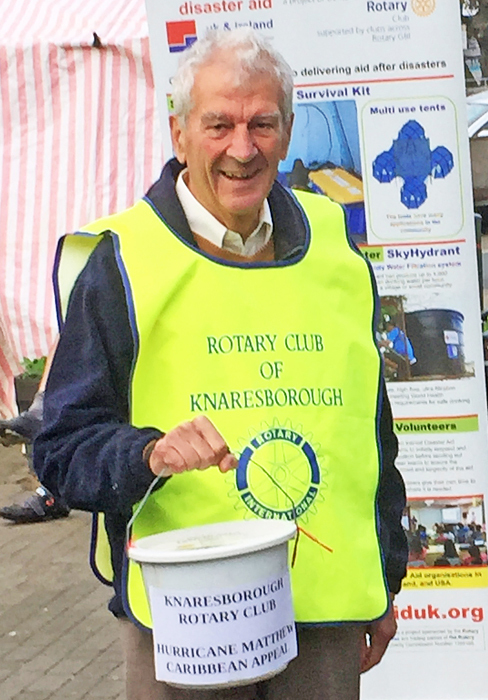 Jim joined the Knaresborough Rotary Club in January 2011 and has worked with several of the clubâ€™s service committees. His interests, outside Rotary, include caravanning, reading, walking his dog, clay pigeon shooting and travel. Jimâ€™s Presidential Charity for the year will be PhysioNet which was started by Knaresborough Rotarian Peter Thompson in 2005 with the aim of providing physiotherapy and mobility equipment for the disabled in developing countries. 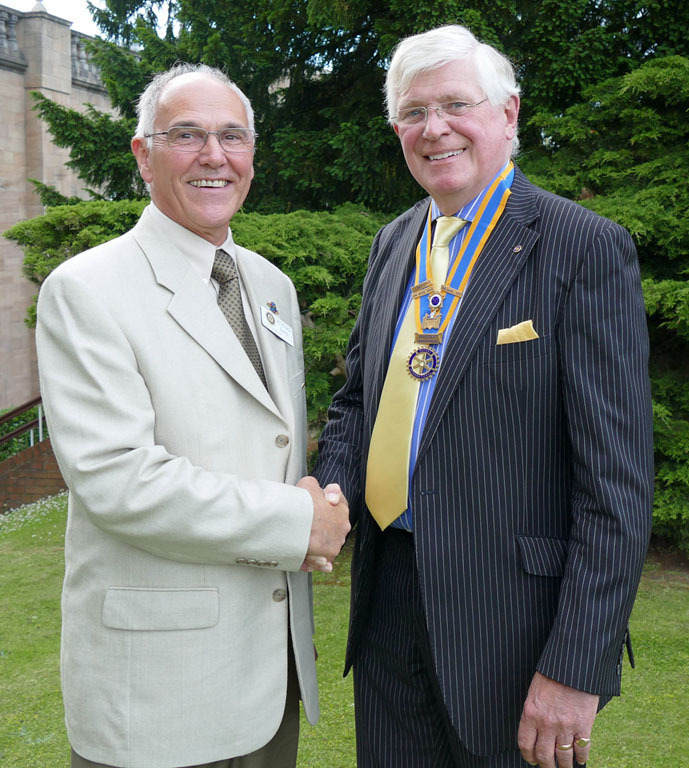 Photograph shows:- Past President Richard Booth (left) hands over the Knaresborough Rotary Club to incoming President Jim Moorhouse (right). Pauline and Harry Murray have been presented with the Marsh Christian Trust Award for Volunteering in Support of Older People in the North of England. 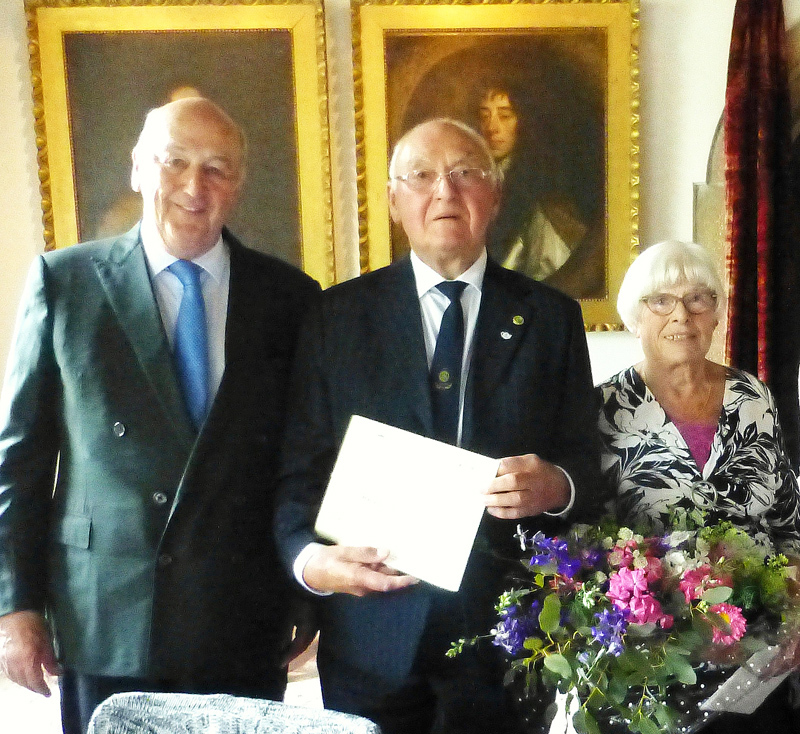 Presented to them at Bolton Abbey by the Duke of Devonshire, the award recognised their efforts for Contact the Elderly over the last sixteen years. â€˜Contact the Elderlyâ€™ tackles loneliness and social isolation among older people. Once a month, on a Sunday afternoon, a group of single people living on their own, are collected and taken out to tea at a volunteerâ€™s home. 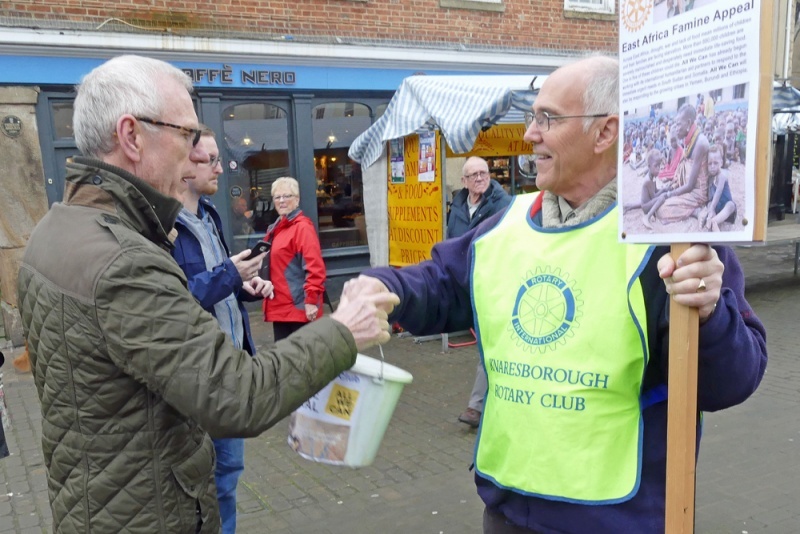 Harry and Pauline have helped organize this for the last sixteen years and there are now two such groups in Knaresborough supported by Rotarians. 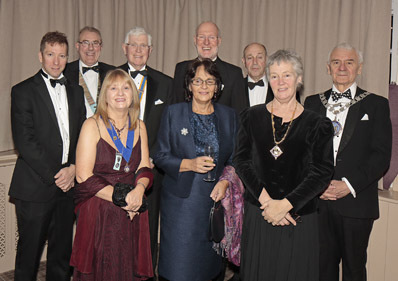 Knaresborough Rotary Club has celebrated its 54th Charter Anniversary with a black-tie dinner at the Bridge Inn, Walshford. 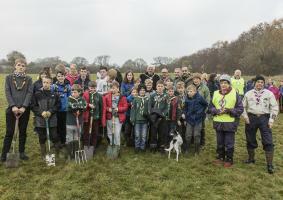 Guests included the Mayor and Mayoress of Knaresborough, Councillor Bill Rigby and Councillor Shan Oakes, Rotary District Governor Philip Poole and Mrs Judith Poole. Club President James Moorhouse welcomed guests and introduced Julian Norton from Skeldale Veterinary Centre, Thirsk, who gave an interesting and amusing talk about working with Channel 5 on the popular Yorkshire Vet television series. 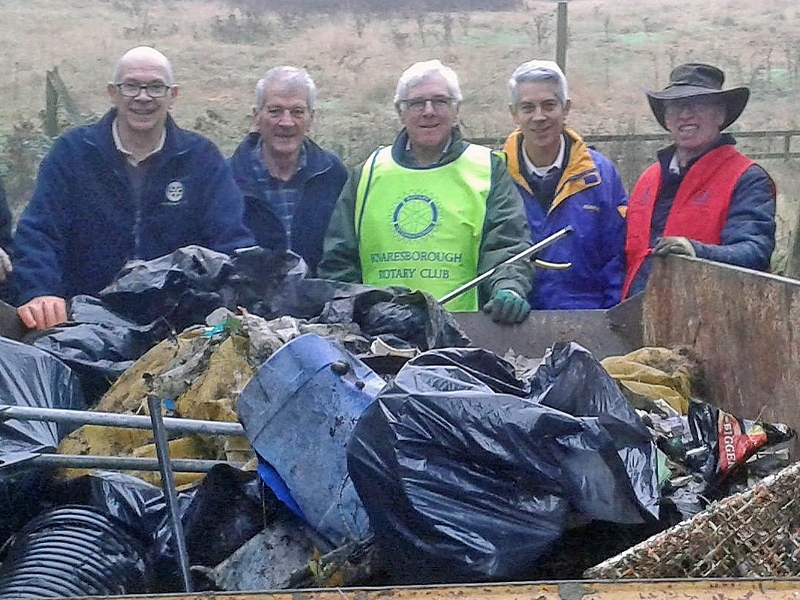 Photograph shows:- Back row left to right â€˜Yorkshire Vetâ€™ Julian Norton, Rotary District Governor Philip Poole, Knaresborough Rotary Club President James Moorhouse, President Elect John Sonley, Vice President Mike Dixon, Mayor of Knaresborough Councillor Bill Rigby. In front left to right, Mrs Judith Poole, Mrs Gill Moorhouse and Mayoress of Knaresborough Councillor Shan Oakes. 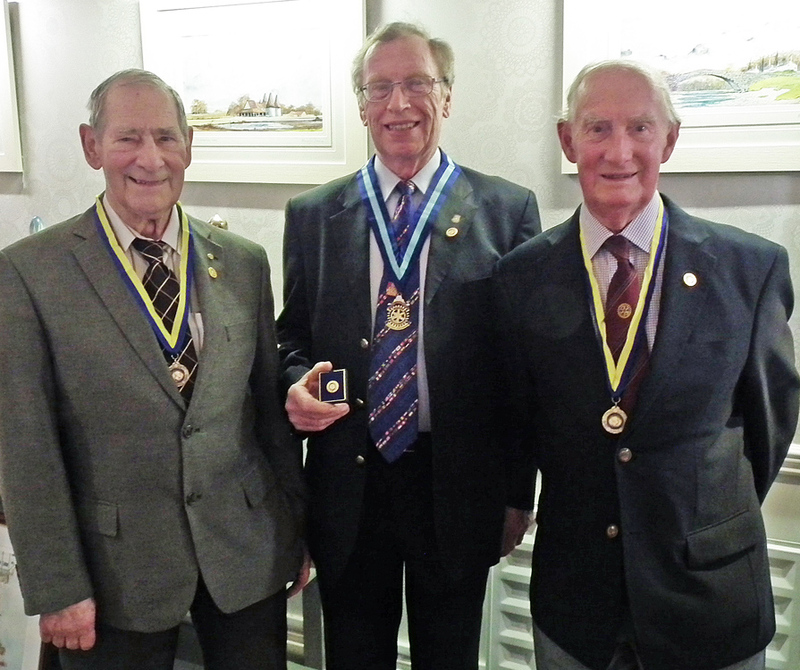 Len Clarkson and Maurice Beer are two of the longest serving and oldest members of Knaresborough Rotary Club. Len Clarkson joined the club 37 years ago and was President in 1989-90 whilst Maurice Beer has completed 36 years as a Rotarian and was club President in 1993-4. The presentations were made on behalf of the club by Past District Governor and former club President Em Lloyd-Davies who was in for a surprise himself. A pre-recorded video from the current District Governor Hazel Haas, a member and Past President of Knaresborough Rotary Club, explained that Em was being awarded a Sapphire to add to his existing Paul Harris Fellowship. Em is moving away and will be leaving the club after Easter, as a memento he was also presented with a limited edition print by a local artist Chris Sheldrake, of Knaresborough Christmas Markets in the snow. We meet on Mondays at 6.00pm for 6.30pm.